Tool wear is a key issue in the friction stir welding of high strength materials like steel-, titanium-, and nickel-based alloys. The wear assessment is an important aspect for developing or modifying the existing tool materials and tool designs. In this study, two different grades of tungsten carbide tools, i.e., tool A (WC-6 wt.% Co) and tool B (WC-10 wt.% Co), were used to join DH36 steel plates. 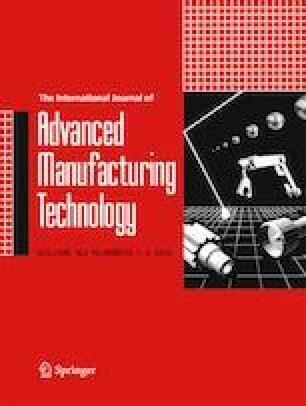 Pre- and post-welded tungsten carbide tools were characterized using different techniques like microstructure analysis, weight measurement, profile measurement, and X-ray diffraction phase analysis. It was observed that the degradation mechanisms strongly depend on the tool material composition and welding conditions. During this study, tool A was degraded by intergranular failure caused by the separations of tungsten carbide grains which promoted further cracks inside the tool. Different degradation mechanisms such as adhesion, abrasion, crack initiation, diffusion, and oxidation were observed for tool B. Progressive wear in tool B was strongly affected by the process temperatures. Minimum wear was observed at low rotational speed and high traverse speed. • Performance evaluation of two different grades of tungsten carbide tools, i.e Tool A (WC-10 wt.%Co) and Tool B (WC- 6 wt.%Co) was carried out during friction stir welding of high strength DH36 steel. • No pilot hole, preheating of work piece material and shielding of tool were done during welding. All trials were carried out to establish the robustness of the tool in the ambient environment condition. • Degradation mechanism for the tool A was observed as catastrophic failure and degradation mechanism for the tool B was observed as progressive wear. • Process parameters namely the welding speed and the rotational speed had a significant effect on the peak temperature attained by the tool which affected wear rate. • Higher surface roughness was observed at the tool pin as compared to that of the tool shoulder. • Metallographic characterization revealed the various modes of wear mechanism responsible for the degradation of the tungsten tool. The authors gratefully acknowledge the financial support provided by Naval Research Board (NRB), Govt. of India. The authors are also grateful to the Management and Department of Mechanical Engineering Department, Indian Institute of Technology Guwahati (IITG), Guwahati, India. The authors are also thankful to the Central Instruments Facility of IITG for providing the required research facilities.